Hirving Lozano is "absolutely ready" to make the step up to one of Europe's elite clubs as Manchester United reportedly circle, according to Mexico head coach Gerardo Martino. 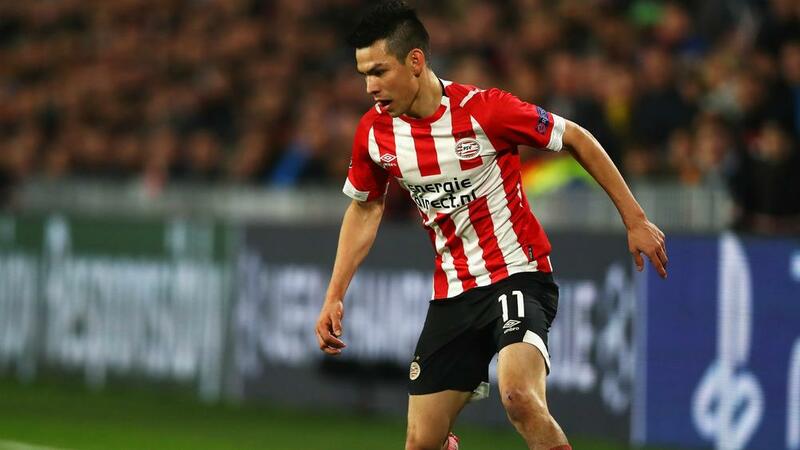 Lozano has been linked with Premier League giants United, Serie A side Napoli and LaLiga champions Barca after starring for Dutch club PSV. The 23-year-old swapped Pachuca for PSV in 2017 and Martino backed the winger to make a big move in the off-season. "Taking an intermediate step in Dutch football or Portuguese football, that has been traditional for Latino players," Martino told reporters ahead of Tuesday's friendly against Paraguay. "I think Hirving has had an influential time in Holland and shown he can be a player who is incredibly valuable and can make the jump to the biggest clubs in Europe. "It's clear. I think from the analysis side of the player, he's absolutely ready." Lozano scored 17 goals in 29 Eredivisie appearances for PSV in 2017-18, while he has netted 15 in 24 league games this term. The Mexico international – who scored in Friday's 3-1 victory over Chile – has netted 19 goals in all competitions for PSV in 2018-19.